Ladies and gentlemen, we are gathered here today to witness a very special union between films and the internet, joining together clips in one supercut that shows many different wedding scenes from a plethora of movies. Some of the scenes are sweet and sincere, some are funny or crass, and some are from Shrek. But they all unite in celebrating that most magical of events—the wedding (as well as the superfluous fight that breaks out when the officiant asks if there are any objections). YouTube user Burger Fiction has assembled these moments from more than 50 films that range in genre, taste, decade, and respectability (side eye cast at That’s My Boy). 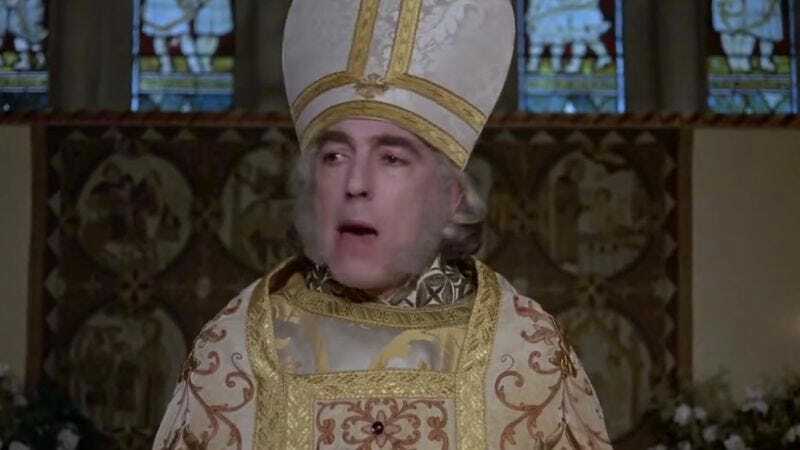 But the constant is the use of nuptials as the momentous occasion in films that either continues the Shakespearean tradition of capping off (usually) comedies with a wedding or else simply uses it as another inciting incident for more hilarity. And, yes, an Adam Sandler film and the word “Shakespearean” just shared a paragraph together. Dark times indeed.